We want to assure you that we have taken into consideration all possible measures to ensure you will have a truly memorable stay and we all look forward to welcoming you. 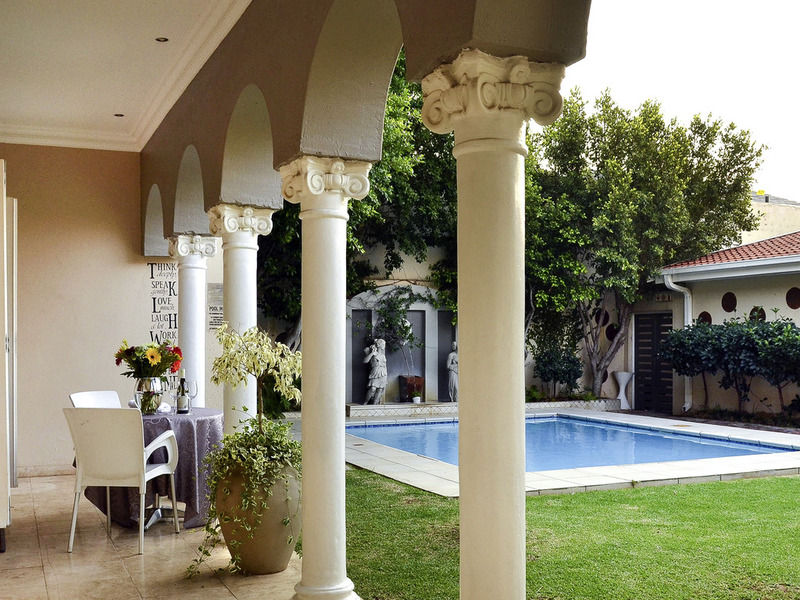 131 on Herbert Baker is perched on a hill overlooking the affluent suburb of Groenkloof, Pretoria. Ideally situated within 10 minutes' drive from Pretoria CDB with easy access to all major highways, a 5-minute drive from Pretoria Gautrain Station, and a mere 35-minute drive from Johannesburg CBD. The hotel comprises of 8 elegantly appointed guest rooms and suites with private balconies and one exceptionally stylish Presidential Suite with a lounge, bar and dining area. Our exclusive restaurant, Grissini, boasts delicious combinations of fresh ingredients, good wine and great service. Head chef Victoria Karavina curates our intimate dinning experience. A fully stocked bar with imported and premium spirits. Sun downers can be enjoyed in the lounge, restaurant or front lawn with the panoramic views of Pretoria.